Like the next beauty blogger.. I love a good ol' pamper sesh of a Sunday! Sheet / Tissue masks are a great way for me to chill out. I take 15 minutes to meditate, whilst hydrating my skin in the process with a tissue mask? What's not to love! 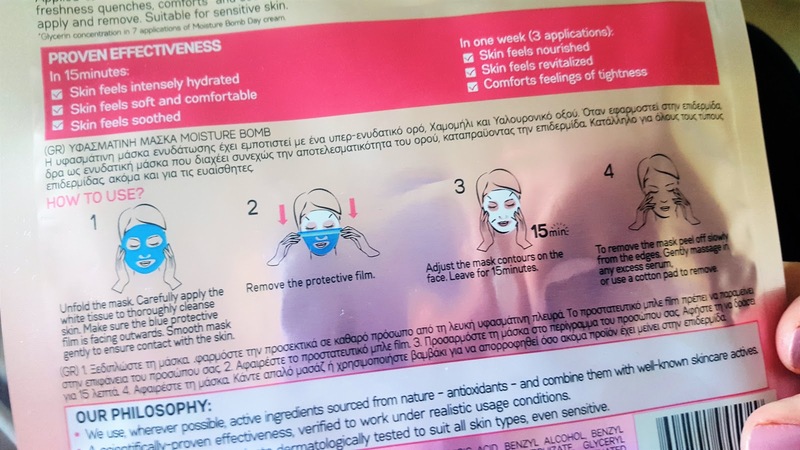 I recently popped into my local Superdrug store and noticed that the fab Garnier team have brought out their own range of Tissue Masks!! 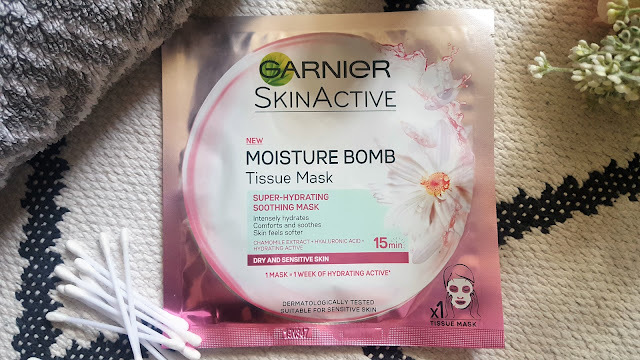 Called the Garnier Skin Active Moisture Bomb Tissue Mask. I picked up the Camomile version. All the Garnier masks are priced at a hugely inexpensive £2.99 'Here'. You use them once, and simply apply for 15 minutes and relax! Garnier's new generation of super hydrating tissue mask contains the equivalent amount of hydrating actives as per1 week’s use of day care. Truly innovative, its ultra-thin tissue is infused with soothing Camomile, super-hydrating plant serum and hyaluronic acid. Its amazing freshness quenches, comforts and soothes skin reducing feelings of tightness. 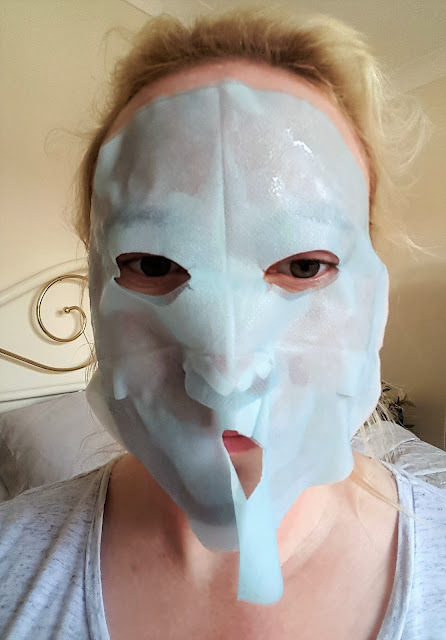 For Dry and Sensitive skin like my own, the mask offers an instant cooling effect. 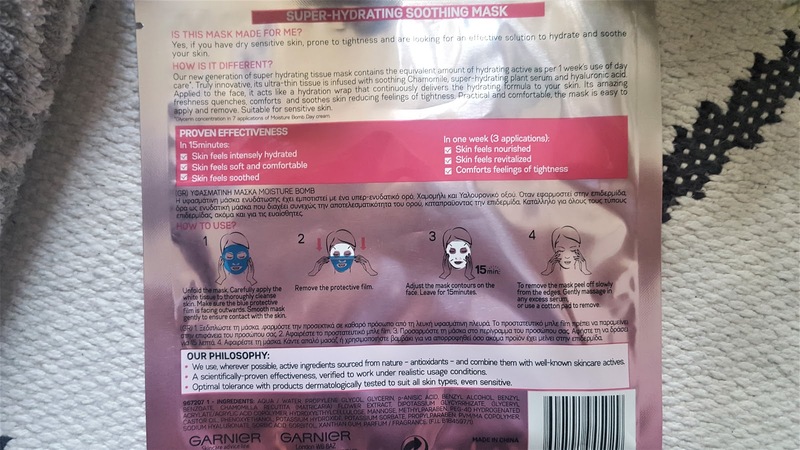 The Camomile scent is instantly relaxing, and the Hyaluronic acid means that your skin is being drip-fed nutrients for the entire time that you have the mask on. I put the timer on my phone for 15 minutes.. I simply placed the 'flapping' sides of the mask to my face with a patting motion. to ensure I got the most out of the mask. 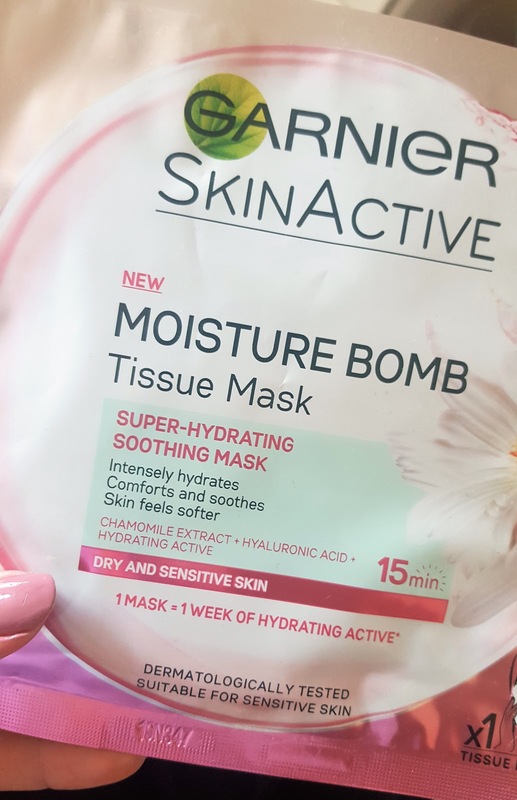 Once my 15 minutes of peace were up, I removed the Garnier Moisture Bomb Tissue Mask, and my skin felt plumper and revitalised and I simply rubbed the access from the mask all over my face to get the most out of the residue left on my skin! 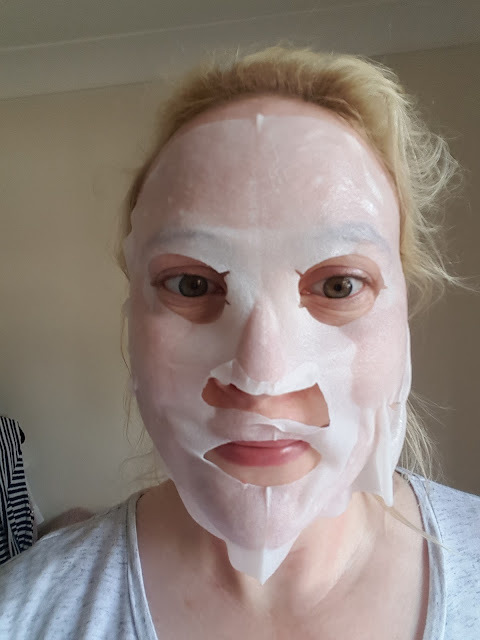 I cant recommend these masks enough. Inexpensive, hydrating and skin soothing. The Garnier Tissue Masks offer something to suit all skin types. What's more popping them in the fridge in the summertime would be absolute bliss! 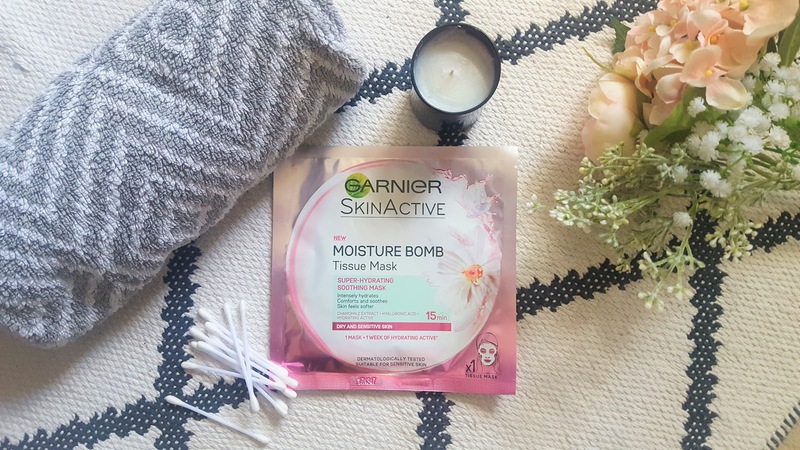 Have you heard of the Garnier Moisture Bomb Tissue Masks before?